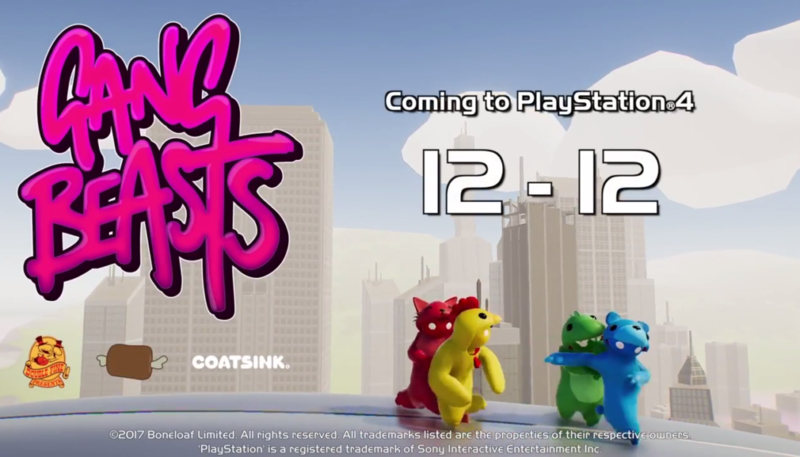 Gang Beasts will launch for PlayStation 4 via the PlayStation Store on December 12, publisher Double Fine Productions announced. The Beef City-set “beef ’em up,” where “harmless, brutal, violence is fun for all the family,” will launch with “a whole glut” of customization options and several new modes, including two-on-two soccer matches and a cooperative mode where up to four players battle against waves of thugs. Gang Beasts first launched for PC in Early Access on Steam and the Oculus Store in August 2014.